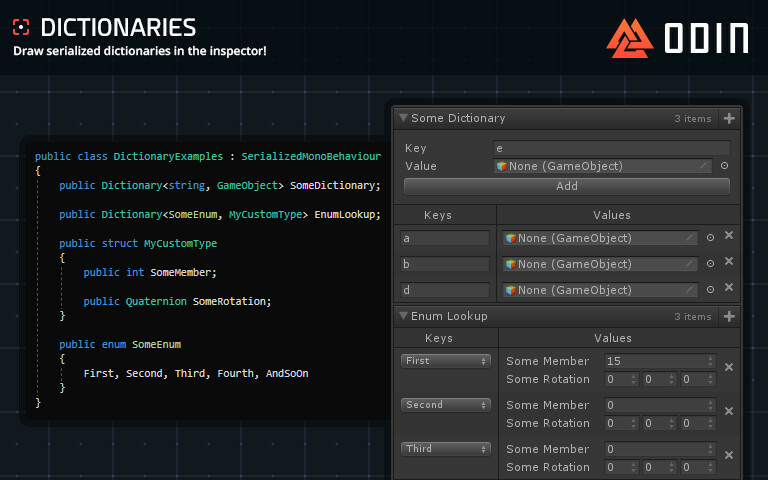 Adding dictionaries and other data types that Unity cannot serialize without awkward code workarounds to the inspector, it just takes a simple using Sirenix.OdinInspector; and changing the MonoBehavior inheritance to SerializedMonoBehavior. 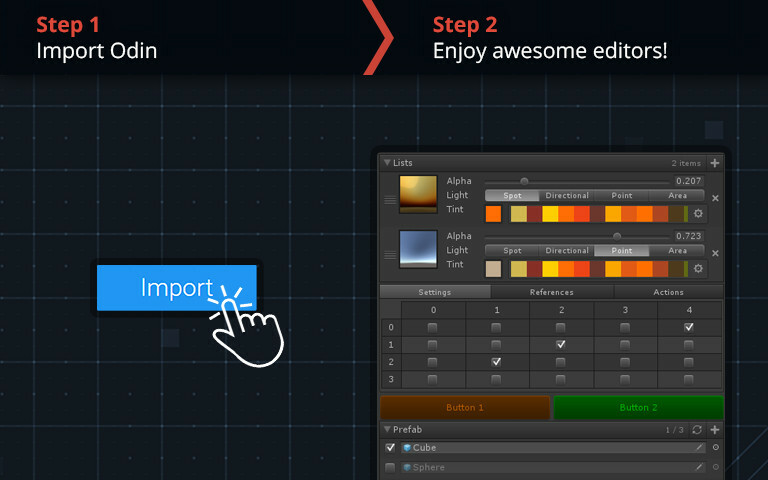 See what's new in version 2.0! 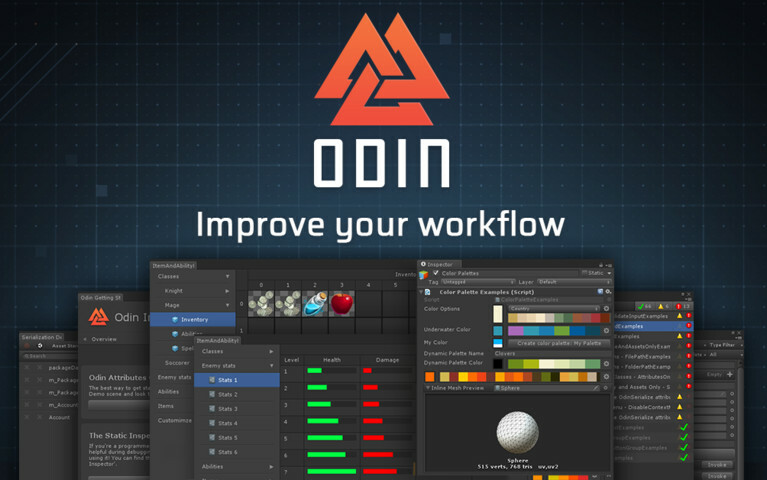 Odin is extremely easy to use and won't break your existing workflow. 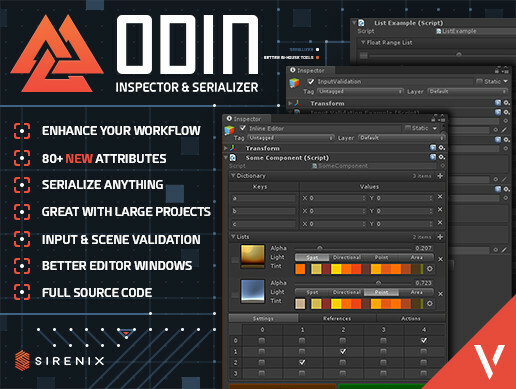 In fact, you don't even need to inherit from anything, which means your existing editors will continue to work even with Odin. 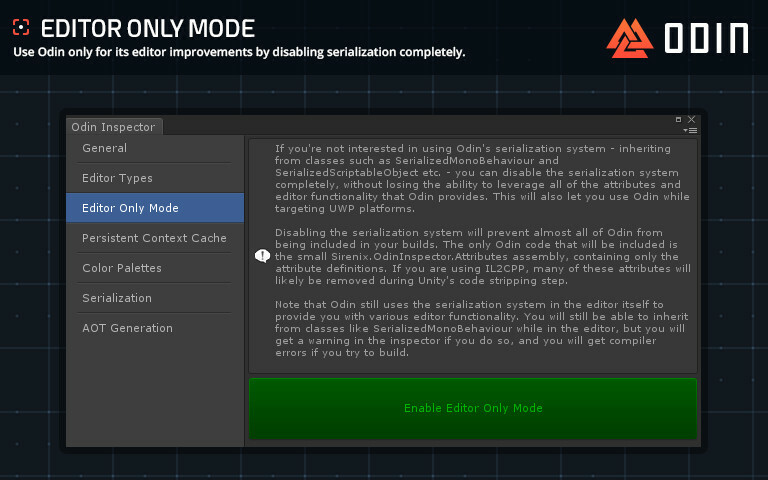 Use Odin only for its editor improvements by disabling serialization completely. 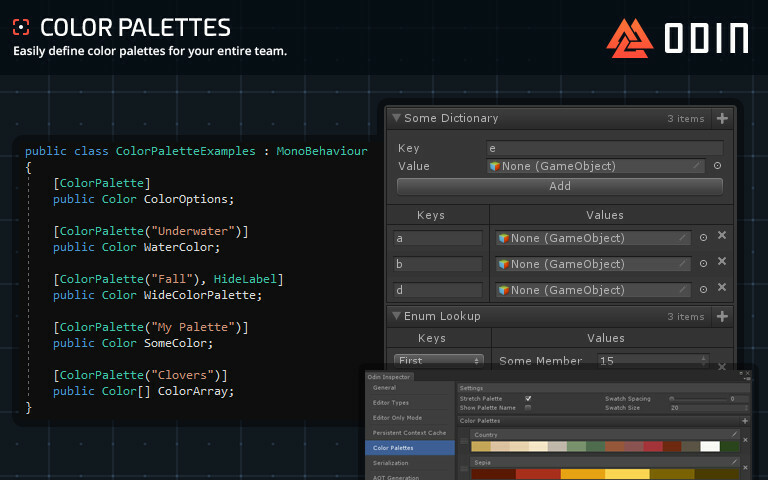 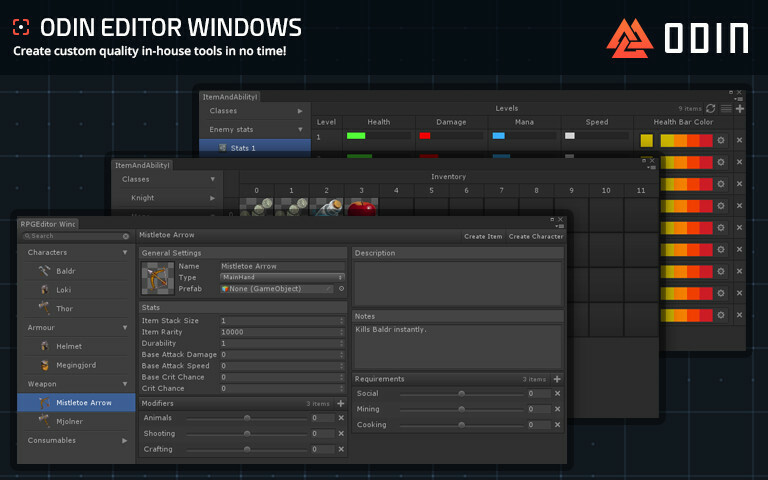 You can now use Odin to rapidly create custom Editor Windows to help organize your project and game data. 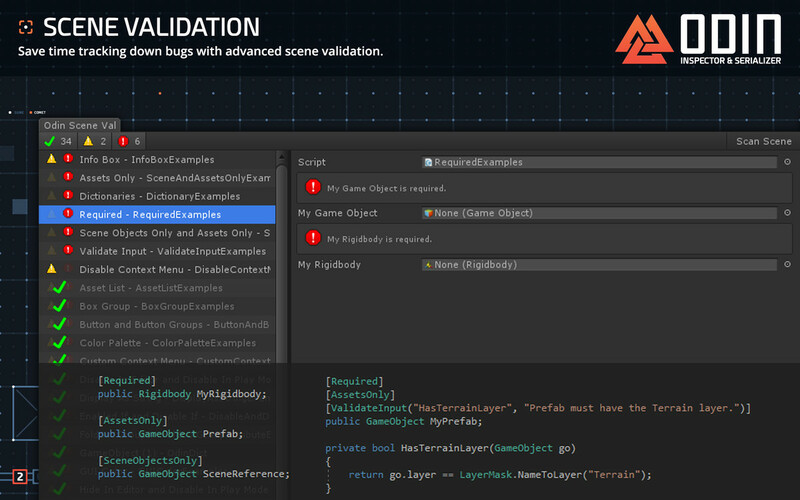 Odin uses our highly-rated custom serialization protocol, allowing you to either inherit from our SerializedBehaviour, SerializedScriptableObject etc. 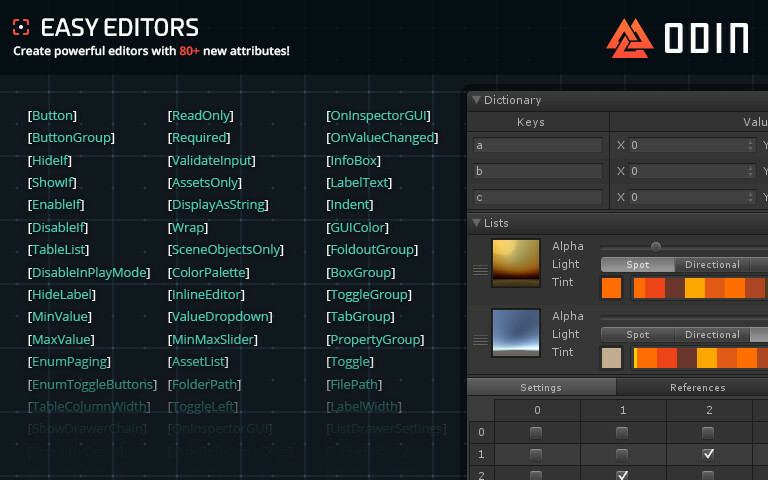 or add a few lines of code to your existing class, and everything serializable shall be serialized. 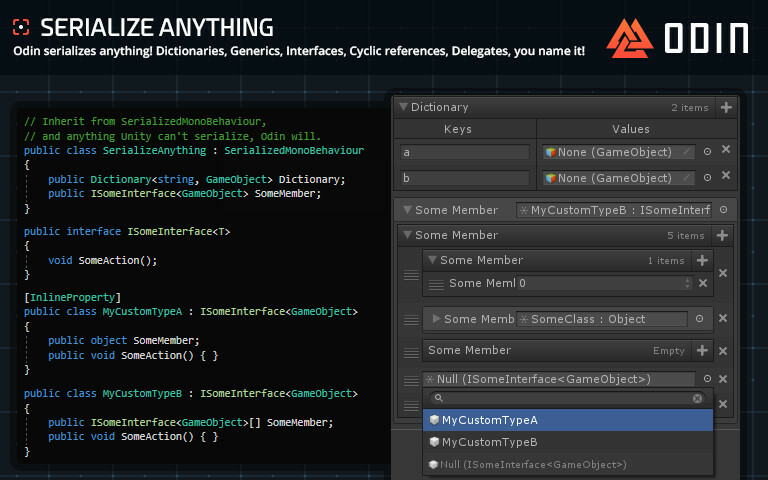 Yes, even polymorphic types! 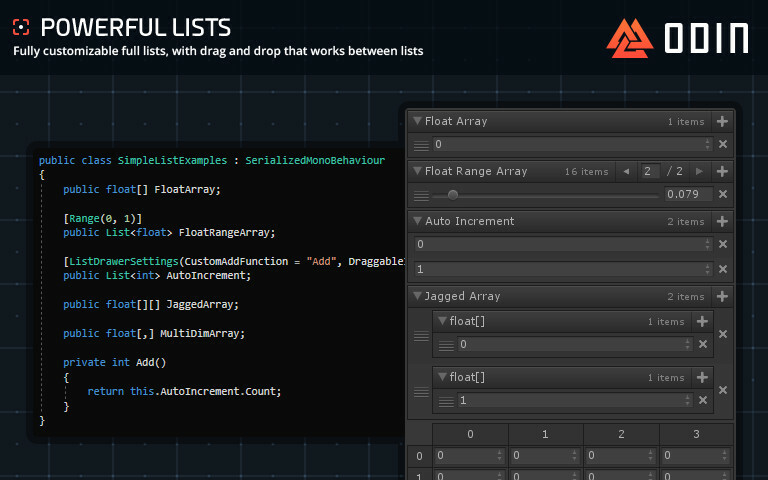 All arrays and lists implementing Microsoft's IList interface are drawn by our powerful list drawer; drag & drop, insert and delete individual items, multi-dim arrays [NEW], tables [NEW], cross-list and even cross-window item dragging, paging, nested list drawing, and much more! 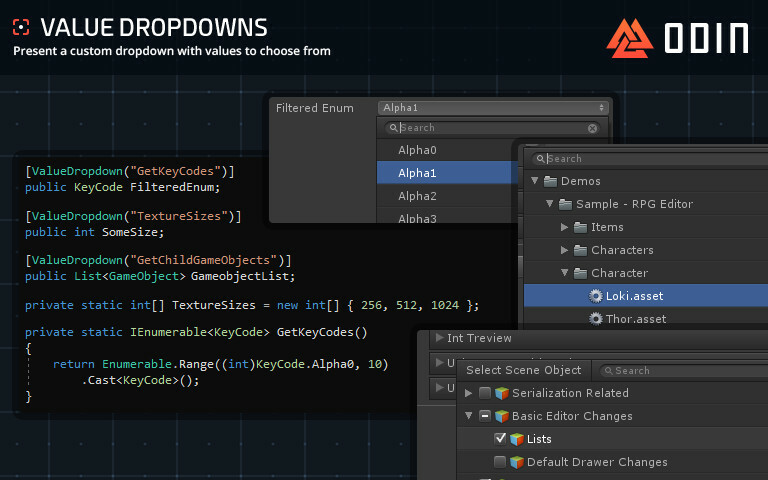 Odin also adds; Dictionaries, Customizable Layouts, Asset Lists, Value Dropdowns, Inline Editor, Color Palettes, and yes, even more! 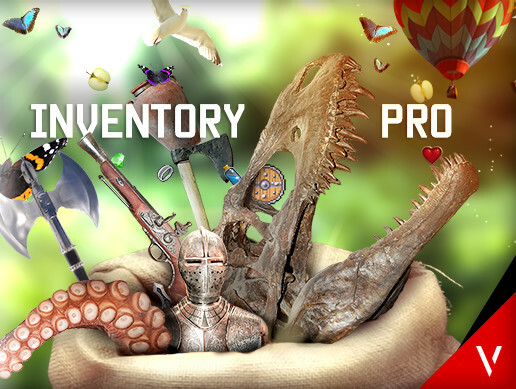 Join in on the discussion on the Forum for support and answers to the most common questions. 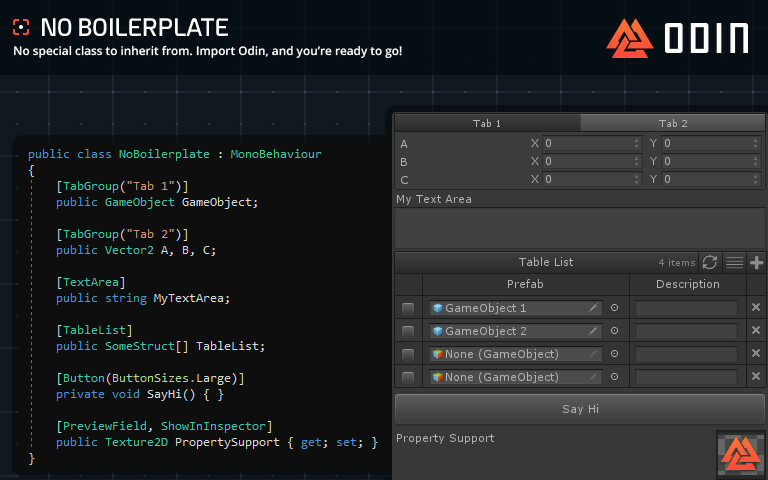 Odin is in constant development, and the forum is used to inform us of which new features we should add to Odin next. 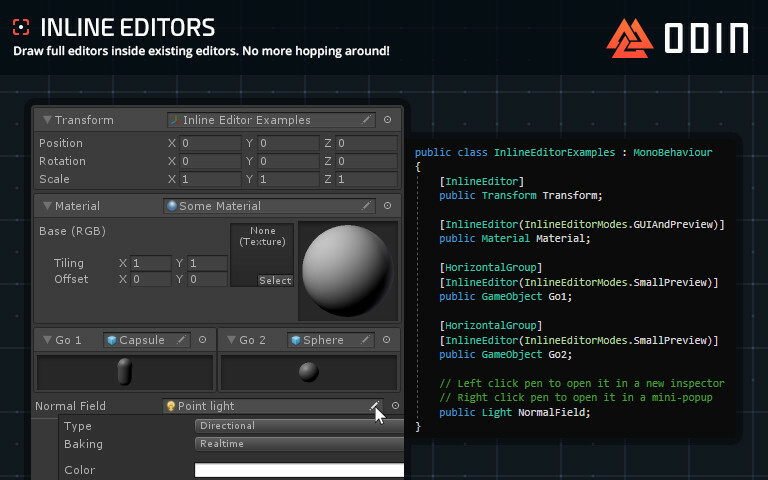 So share your suggestions with us, or chime in in agreement with other community members suggestions.